I haven’t written anything on French politics in three months and didn’t anticipate doing so this week, but, with all that has happened in the past three days, think I should. My blogging confrère Art Goldhammer has been going to town on the latest psychodrama, summing up François Hollande’s “terrible, horrible, no good, very bad week” in The American Prospect on Monday and, in his jeremiad today, mournfully evaluating Manual Valls’s new government, plus the lamentable state of French politics more generally. As I agree 98.5% with Art’s analyses, I won’t cover the same ground here as he. Just four comments. 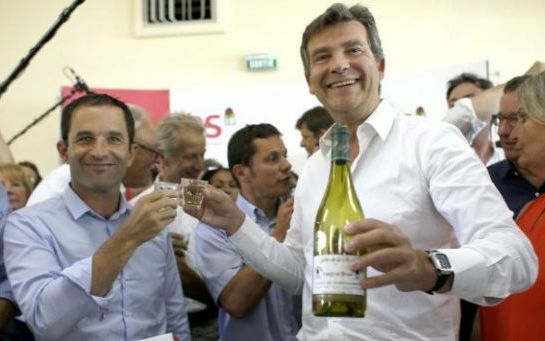 First, after Arnaud Montebourg’s Sunday grandstanding in Frangy-en-Bresse (in the Saône-et-Loire profonde), Hollande had no choice but to have the government resign and ask Valls to form a new one. This was apparently not Hollande’s initial reflex but when Valls watched Montebourg’s improvised address on the télé before the latter’s copains et copines at his annual Fête de la Rose—visibly made after he’d had a verre too many—and took note of Montebourg’s petite phrase promising to send the President of the Republic “une bonne bouteille de la ‘cuvée du redressement'”—which means what it means—Valls told Hollande that it’s him or me, that if Montebourg (and Benoît Hamon) weren’t fired illico, that he (Valls) would resign. Question d’autorité et de cohérence. If Valls were to quit, then Hollande would clearly have no choice but to dissolve the National Assembly. Or maybe quit himself. So PM Valls exercised his authority over Président de la République Hollande. Quel spectacle. 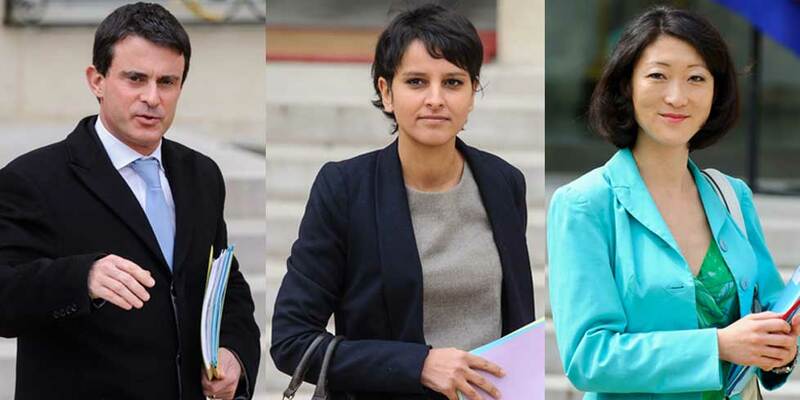 As for the other ejected ministers, Hamon has been replaced by Najat Vallaud-Belkacem—the rising Socialist star, of Algerian-Moroccan parentage—at the Ministry of Education—the first woman ever to head this very high-profile ministry—and Fleur Pellerin (of Korean origin, adopted by a French family)—, who knows the dossiers—, happily taking over from Filippetti at culture and communications. Both are good, IMO. The new government, which is resolutely social-libéral—i.e. Blairist, or maybe Clintonian-Obamaist—is tighter and more ideologically coherent than the last one. France finally has a social-libéral government, but a decade too late. Problem now is, entre autres, the government’s political base is too narrow. With the exception of the PRG and allies (i.e. Christiane Taubira)—who, electorally speaking, represent not quite nothing but almost—the rest of the left (Front de Gauche, EELV) opposes the government and with the frondeur PS in quasi-opposition. And Hollande not having seized the perch extended by François Bayrou in 2012, an opening to the center is no longer possible. The last time a government governed with such a narrow electoral base was during the Cresson and Bérégevoy years (1991-93), and we know what the electoral consequence of that was. With the majority hanging in the balance and the left-wing of the PS up in arms, Valls will almost certainly be obliged to use Article 49-3 to get certain key bills passed (Pacte de responsabilité, etc) and dare the frondeur Socialists to vote for a censure motion, which, if it were to succeed, would result in early legislative elections—and certain defeat of up to 80% of PS deputies. This is not a good way to govern—ce n’est pas la bonne méthode, as Jacques Chirac would say—but if Hollande-Valls want to get their social-libéral legislation passed, this will likely be the way. But it’s hard to see how this situation can last for three years. Hollande is at 17% in the polls, a hole too deep to climb out of, next year or in three years. In view of the calamitous state of French industry—the problems are deep, structural, and will take years to remedy (and many years have already been lost here)—, unemployment is not about to drop anytime soon. Ce n’est pas une information but Hollande—if he runs—and the PS are toast in the next presidential and legislative elections. Period. But the UMP—qui est en piteux état—is, as one knows, absolutely not in a position to take over. Not right now. The PS may be in a calamitous state but so is everyone else. Looking at the latest IPSOS/Le Point “baromètre de l’action politique,’ what is striking—and this is my third point—is how almost all major politicians have negative ratings higher than positive—and for the majority of these, the negative-positive gap is considerable. French voters are fed up with all of them, left, right, and center. The whole lot. It’s quite amazing, actually. Of those who are hypothetical presidential candidates, the only ones whose favorable numbers are higher than his/her negative ones are, at present, Alain Juppé, François Bayrou, Ségolène Royal (yes! ), and (believe it or not) Laurent Fabius. It’s hard to see Mme Royal making a run if her ex decides not to in ’17, quoique on ne sait jamais… But Fabius? I’m going way out on a limb here but if Hollande throws in the towel in ’17, Fabius, the elder statesman, could well emerge as the candidat de réchange (and with Valls, burned by Matignon, biding his time till ’22). Une hypothèse, c’est tout. As for the UMP, all I can say is that I hope and pray that Juppé remains steadfast in his announced intention to run for the presidency of the UMP and, presumably after that, to be the UMP’s presidential candidate. And to, of course, block a return by Sarkozy (a return by whom I have never believed but that must, in any case, be prevented at all costs). Juppé will certainly be opposed by the UMP right-wing—which is forming into a French Tea Party—but he’s the only one on the right who, at present, has the stature to lead this country. And ward off a disastrous second round face off between Sarkozy and Marine Le Pen. As for Mme Le Pen—and this is the fourth point—, just about everyone is now predicting that she will go to the second round of the next presidential election. Ça va de soi, presque. I normally eschew engaging in such speculation three years before an election but it is indeed possible that this will happen, that Marine LP will finish ahead of the PS or UMP candidate (mostly likely the PS) and square off against the one who makes it through (most likely the UMP). Many are also predicting that she will win outright, that Marine Le Pen will be the next Présidente de la République. I will say right now—d’ores et déjà—that this will not happen. It is totally out of the question. Period. I offered some of the reasons as to why in my post after the European elections in May but may also add her tenaciously high negative poll numbers, which today are at 63%—far higher than any other first-tier political figure save Jean-François Copé (and, of course, François Hollande, but he’s the chef de l’Etat being judged on an actual bilan). Poll numbers bounce around, of course, but there is no reason whatever to believe or expect that Marine LP’s curve will cross, as it were, in the next three years, that her positives will overtake her negatives. And that, as a consequence, 50.01% of French voters will cast their ballots for her in the second round of a presidential election. It won’t happen. Never. Jamais de la vie. A final point. I return to my speculation of last November, on Hollande’s predicament and a possible way out for him. Dissolultion of the National Assembly and élections législatives anticipées. In 2016. You read it here first. UPDATE: I reread my posts on the PS presidential primary campaign, of the fall of 2011. In the one on the first round of the primary (here), I devoted more space to analyzing the candidacy of Arnaud Montebourg than of the others. Those interested in his case may find it worth the read (as what I wrote three years ago is still relevant). For the rest of Chang’s review, go here (also see the reviews in Screen Daily and Indiewire; French reviews are naturally tops). As one learns in the closing credits, the film is inspired by “several short stories” by Chekhov (and there’s also some Shakespeare in there). The acting is excellent all around—particularly the protags Haluk Bilginer (Aydın) and the beautiful Melisa Sözen (Nihal)—, the dialogue is intense, and the cinematography spectacular (the film is entirely set in Cappadocia, which is one of the most breathtaking corners of the world I’ve seen). No release date yet for the US but it will make it there. Those who live in France and have the slightest interest in cinema (or Turkey) should see it ASAP. Trailer is here. It looks like I have a new series going here. 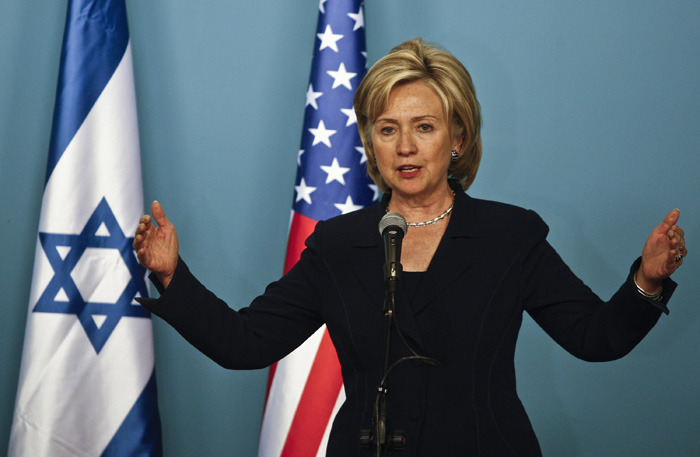 I just came across a commentary by Philip Weiss, founder and co-editor of Mondoweiss—the go to site for the stateside Israel-bashing one-stater crowd—, explaining how “Hillary Clinton just lost the White House in Gaza — [the] same way she lost it in Iraq the last time.” Weiss asserts that Hillary’s pro-Israel pronouncements during the latest Gaza war—notably expressed in her recent “famous interview” with Jeffrey Goldberg—and her striving “to please neoconservatives” have put paid to her ambitions for 2016, as the liberal-left primary and caucus-voting Democratic party base will turn away from her on account of her rhetoric on Israel/Palestine (my emphasis) and support en bloc the candidate who runs to her left—and that it is a certainty that such a candidate will emerge and “exploit this sentiment [on Israel/Palestine] for political gain.” Weiss acknowledges that “he’s going out on a limb” with his prediction but he’s pretty sure of it, as he sees a sea change underway on the liberal-left side of American politics in regard to Israel, with younger, progressive, and disaffected ex-liberal Zionist voters increasingly rejecting the Democratic party’s uncritical pro-Israel stance and slavishness to AIPAC. And that this sea change will manifest itself in the ’16 election. Weiss is, as we say over here, à côté de la plaque, i.e. he’s out to lunch. His understanding of American electoral politics is clearly deficient or/and he believes his gauchiste Israel/Palestine-obsessed Mondoweiss milieu to be more consequential in the Democratic party base than it is. Now it is incontestable that liberals—including Jews—have become more critical of Israel in recent years, which any liberal-lefty in the US can attest to (e.g. I am continually struck by the number of American Jewish friends who speak harshly of Israel these days, which they never did in the 1970s-80s or the post-Oslo 1990s). And these personal observations are supported by polling data, e.g. last year’s Gallup poll showing 24% of self-identified liberals sympathizing with the Palestinians over Israel, with 51% for Israel, i.e. a mere 2 to 1 ratio, which, in the US, is not bad for the Pals. With Israeli governments now indistinguishable from US Republicans—and Tea Party Repubs at that—, liberal/Jewish disaffection toward Israel is only normal. But the disaffection is toward the current Israeli government and its leading personalities—Netanyahu, Lieberman, Bennett et al—and Israeli policy, not toward the State of Israel itself—or to Zionism (as defined here). If the Likud and its far right allies were defeated in a general election and replaced by a center-left government—such as center-left is understood in Israel—, and there were a serious return to the “peace process,” a lot of the disaffection among liberal Jews would dissipate. But even if this doesn’t happen in the next election or two—and I’m not holding my breath—there is not a snowball’s chance in hell that American Jews outside Weiss’s New York-New Jersey gauchiste milieu will become one-staters and endorse Palestinian narratives. But if Warren does run, pro-Pal liberal-lefties are likely to be disappointed, as it is a certainty that her rhetoric will be decidedly pro-Israel, perhaps even as much so as Hillary’s. Warren is a politician and will not take positions that will cause her to lose more than she will gain. As I explained during the last Gaza war, there is a reason US congresspeople and presidential candidates are 100% pro-Israel—even more pro-Israel than Israelis are themselves—, which is because they have absolutely nothing to gain by being otherwise. And on this, they have nothing to worry about vis-à-vis public opinion, as the American public remains overwhelmingly pro-Israel (the numbers on this are clear; and if Democrats have become less pro-Israel, Republicans have become more so, the latter thus cancelling out the former). This may evolve in the future but one shouldn’t count on it, as with the Middle East going to hell in a handbasket—with ISIS, bloodbaths in Syria and Iraq, brutal dictatorship in Egypt, state collapse in Libya, unsympathetic socio-cultural-political orders in the Arabian peninsula, Hizbullah, Hamas, Islamic Jihad, et j’en passe—Israel will continue to look relatively good to most Americans. Désolée mais c’est comme ça. Progressive Democrats are not single issue. If a candidate (think of former Congressman Barney Frank) is good on health care, jobs, GLBT issues, fracking, taxes, abortion, etc. but supports the slaughter in Gaza, progressives vote for him anyway. That is why even Elizabeth Warren and Sherrod Brown are down-the-line Netanyahu supporters. There is no downside in offending progressives but there is one in offending Israel Firsters. Obviously. And, lo and behold, Philip Weiss has expressed disappointment with Elizabeth Warren in her Senate vote to give Israel an extra $225 million in military aid and for “mouth[ing] Israeli talking points” in a public meeting with constituents (August 28th). Hey, Phil, what did you expect? 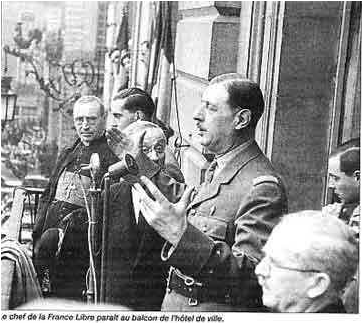 Today is the 70th anniversary of the liberation of Paris and one of Charles de Gaulle’s greatest public addresses (and he had many). What he recounted at the Hôtel de Ville on August 25th 1944—about Paris’s liberation from the Germans—was a borderline lie—he forgot to say anything about the Americans and their contribution—but who cares? He restored France’s honor, which is all that counts. A great speech. Watch the first 44 seconds—which all that most people have seen—here. Vive la France! Le général de Gaulle a profondément marqué l’Histoire française du siècle dernier. Saint-Cyrien discipliné, il devient militaire de carrière. Blessé à plusieurs reprises lors de la Grande Guerre, il est même déclaré mort le 7 mai 1916. Cette émission se penche sur les aspects méconnus de l’homme politique, comme par exemple sa passion des médias et de la mise en scène. Ses discours, souvent de véritables représentations, étaient particulièrement calculés. De Gaulle a bousculé tous les codes de la communication politique, tout en dominant la scène internationale, en Russie comme au Mexique, en plaçant toujours la France au premier plan. 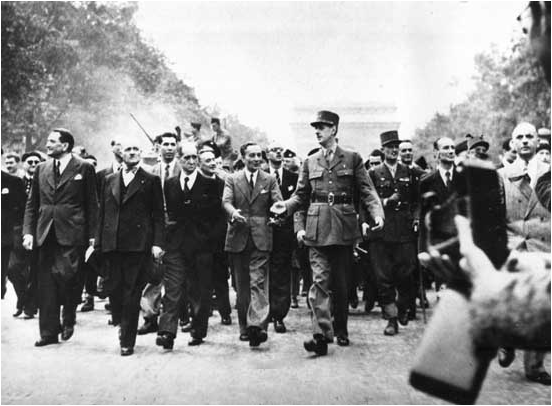 One learns, among other things, that de Gaulle requested that the American troops participate in the liberation of Paris—which General Eisenhower hadn’t planned on—, as de Gaulle feared that if only the Free French did so Communist fighters in the Resistance would invest the city, claim credit for its liberation, and with the attendant political consequences. The documentary, which is 1 hour 45 minutes in length, may be watched here for one week (to September 2nd). Huffington Post UK political director Medhi Hasan has a delicious piece (August 21st) on two 22-year-old British jihadists, Yusuf Sarwar and Mohammed Ahmed, who were convicted on terrorism charges in Birmingham last month—after Yusuf’s mum alerted the police about her son’s activities. As was revealed during the trial, they had purchased copies of Islam for Dummies and The Koran for Dummies (en français: L’Islam et le Coran pour les nuls) on Amazon before setting off to Syria to wage jihad. Sans blague. Trailer with French subtitles (though English ones would also help) is here, NYT review is here, NPR interview with director Chris Morris is here. 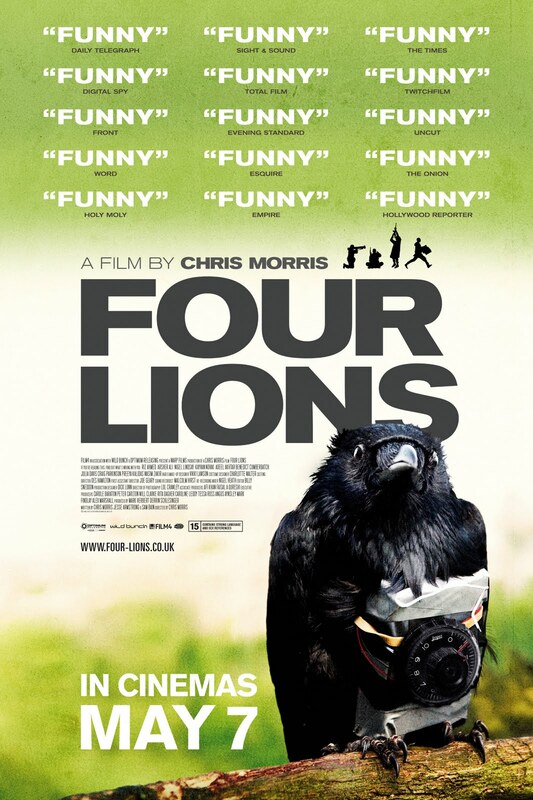 UPDATE: Sophie Gilbert, senior editor of The Atlantic, has a piece (October 18th) entitled “The best film about Islamic terrorists is a comedy.” The lede: Chris Morris’ Four Lions, released four years ago, skewers the pointlessness and confusion of wannabe jihadists. Richard Linklater’s “Boyhood” is a film that captures the arc of a young life perhaps better than any previous American movie. Ever. Once in a great while I see a movie I know I’ll be listing as one of my all-time favorites for the rest of my days. So it is with this remarkable, unforgettable, elegant epic that is about one family — and millions of families. It’s a pinpoint-specific and yet universal story. You may have heard about Linklater’s audacious tightrope walk of an experiment. “Boyhood” was filmed in 39 days over the course of 12 years [2001-2013] with the same core cast. The actors playing the young children at the beginning of the film are the same actors playing those characters as adolescents and young adults. The result is a living time capsule so pitch-perfect, the experience of watching it is almost unsettling. No movie like this has ever been made, needless to say. It was a totally original idea on Linklater’s part and a risky one, as, entre autres, no contracts could be signed with the cast for such an open-ended commitment and one could not be sure what kind of older child, and then teenager, the central character, Mason Jr (Ellar Coltrane)—who began the film at age six—, would turn out to be (and if he would want to continue with the project). But Linklater and the cast pulled it off. There were no dull moments or scenes that dragged on too long, which is saying something for a 2 hour 45 minute film with no plot to speak of. The acting is first-rate—the casting is impeccable—and one cares about the characters and relates to their conversations and interactions (I did, at least). E.g. the father-son dynamics—between Mason Sr (Ethan Hawke) and Jr—were on the money, as was the discussion in the restaurant Mason Sr initiated with the kids, now in their early teens, about the facts of life (Mason Jr’s older sister, Samantha, was played by Linklater’s daughter, Lorelei). A lot of this rang true. And I loved the scenes about politics, e.g. the one during the 2008 presidential campaign (the lawn signs), plus the one where Mason Sr takes the kids to meet the parents of his second-wife-to-be somewhere in rural Texas. Linklater, who hails from Austin, did something quite singular in the film—for me, at least—, which was to present Texas in a positive light, as a fine place to be a kid and grow up in (I have a lifelong prejudice against Texas—a state in which I have admittedly spent practically no time at all—but, being an open-minded person, am striving to overcome). And it’s as good a film as one will see about the resilience of kids growing up with divorced parents who love them but have their dysfunctionalities—here, a working mother trying to get ahead but who serially falls for men who are jerks—and whose jerkiness directly affects the kids—, a father who’s cool but irresponsible. When I left the theater I called the film a chef d’œuvre, definitely one of the best of the year, and announced it on social media. But upon reflection the following day, I began to see a few small flaws… E.g.—spoiler alert! if you haven’t seen the pic, skip to the next paragraph—, there is a problem with the parcours of the mother, Olivia (Patricia Arquette), who goes back to school to finish her B.A.—when Mason Jr is six or seven—and then gets a Master’s degree (there is no mention of a Ph.D.), all in six or seven years, which would have been tough to do full-time while raising two kids and having to work (she was only married to the jerk alcoholic prof—who would have supported her financially—for two or three years), and then landing a job at Texas State University in San Marcos (not specifically named but that’s what it is), which, one supposes, would have required a Ph.D. in hand or nearly one. But if she were an adjunct with merely an M.A., she wouldn’t have made nearly enough to provide even for herself, let alone her kids. And at one point she mentioned a sabbatical year, which, in fact, wouldn’t have made sense even if she were a full-time assistant professor, not at that early stage in her career. This all seemed implausible and I ran it by some academics—who all loved the film—on a social media comments thread, and the consensus was that I was right, that Linklater got the higher education part of the story wrong (I also thought—and this is admittedly a minor detail—that a bright, free spirit high school senior like Mason Jr would have aimed higher for college than UT-El Paso…). Another point, this one mentioned by a family member who saw the film with me: There was no indication that Mason Sr was paying alimony to support his kids while they were growing up. He had no legal obligation to provide for them—and didn’t for much of their childhood. But at the parents’ divorce hearing—prior to the film—the judge would have presumably imposed alimony on the father. A couple of friends also had a problem with the Latino-waiter-in-restaurant scene, which struck them as false (it didn’t bother me), plus Olivia’s relationship with the Iraqi war vet (which I didn’t think was a problem, though one did wonder what she saw in the douchebag…). But none of these quibbles detracts from the film’s overall quality. All that my next day reflections caused me to do was downgrade the pic from a masterpiece to merely excellent. I simply loved this movie. It is one of the best coming of age films ever made, and certainly about coming of age in America. And the soundtrack is great (this song—from my late teen years—played over and over in my head over the subsequent days). So thumbs way up! If you haven’t seen it, do so. Trailer is here. As it happens, this was the first film I’d ever seen by Richard Linklater. I like to think of myself as knowledgeable about cinema but there are gaps—some yawning—in this knowledge. 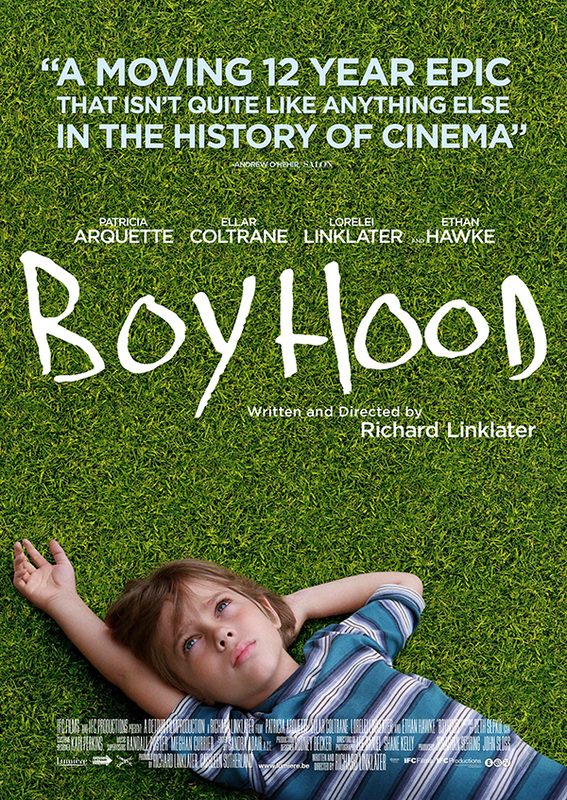 In the case of Linklater, not only had I seen nothing of his before ‘Boyhood’ but knew practically nothing about him. And, as I learned over the past couple of weeks, various stateside friends and family members were not only familiar with Linklater’s œuvre but fans of it. I had no idea. In my defense, I have the excuse of having lived in France for the past two decades, where, as Le Monde film critic Thomas Sotinel informed the reader in the July 26th issue, Linklater’s films have been underexposed and (unjustifiably) underappreciated. 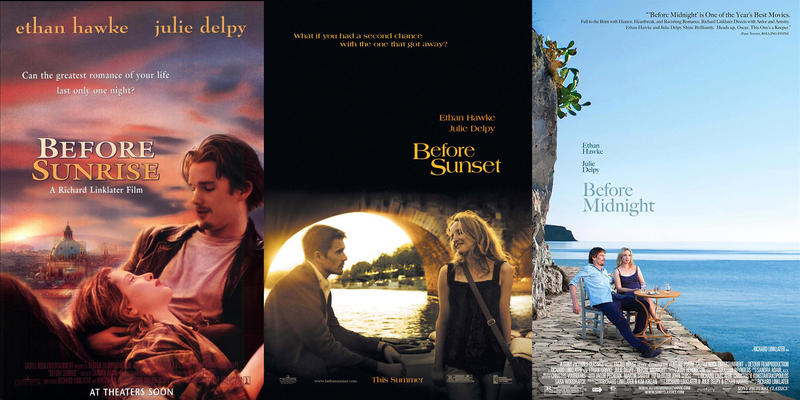 So being in the US at the present time—and thanks to Netflix—I decided to fill my Linklater gap, starting with his “Before” trilogy—’Before Sunrise’ (1995), ‘Before Sunset’ (2004), and ‘Before Midnight’ (2013)—, which follows the love affair of the French Céline (Julie Delpy) and American Jesse (Ethan Hawke), who—in ‘Sunrise’—meet in their early 20s on the Budapest-Vienna train, are immediately attracted to one another—particularly he to her (and she is indeed quite attractive)—, spend some 18 hours together wandering the streets of Vienna and talking—and talking and talking—, during which time they develop sentiments, but their paths have to part; jump to nine years later—and ‘Sunset’—, they fortuitously reconnect in Paris—he’s an up-and-coming novelist, she an aspiring NGO écolo activist—, the spark is still there, they walk the streets, parks, and riverbanks of the 5th arrondissement and talk—and talk and talk and talk—for a couple of hours before a fateful decision is made (implied at the end of the film); jump nine years—and ‘Midnight’—, they’re now in their early 40s and cohabiting (in Paris) with twin daughters—he has a 12-year-old son from divorced American wife—, and are on a marvelous-looking vacation in Greece (southern Peloponnese), where, over the course of a day, they talk and talk and talk, take stock of their relationship and where it goes from here, and have a scène de ménage. Three short days of an eighteen year romance compressed into three films of less than five hours total. An interesting idea and very Linklater. I saw the three within a week and cannot imagine how one could have gone nine years between each—during which time one would have possibly forgotten details and/or lost interest—, or seen the last one but not the first two (which was apparently the case for a certain number of movie-goers). The three films really need to be seen in sequence and within a relatively short period of time, or else the trilogy doesn’t make total sense. Or, to put it another way, it all comes together in the third film. I was not immediately taken with the first two, though decided to reserve judgment until seeing the third. Céline and Jesse are interesting characters—Delpy and Hawke, who wrote the script with Linklater, are fine actors—and good looking. The kind of people one wants to be friends with. They love to talk, about the meaning of life and just about everything. They have so much to say to one another. The trilogy is one big talk fest. I was initially not convinced by some of the dialogue and situations, which I thought did not ring true, but, upon reflection, revised my view. There are countless permutations of how the partners of a couple interact with one another and what can transpire in their relationship. Every couple is unique. So, sure, the dynamics between Céline and Jesse were real for them. And for others. E.g. a friend of mine—and who is one of the most interesting conversationalists one will ever meet—told me that he strongly identified with the Céline-Jesse couple and their talking (my friend is of the same general Gen X age as Delpy and Hawke and saw each film when it came out). And then my mother told me that Céline and Jesse’s gabfest reminded her of how she and my father were when they met in their early 20s some six decades back (which I can absolutely, totally believe; and it didn’t end in their 20s, believe me). (Pour l’info, I like to talk too, though maybe not about the same things as Céline & Jesse.) So, yes, I will finally give the trilogy the thumbs up. It’s extremely well-written—the script was long and complex—and, as mentioned above, very well acted. 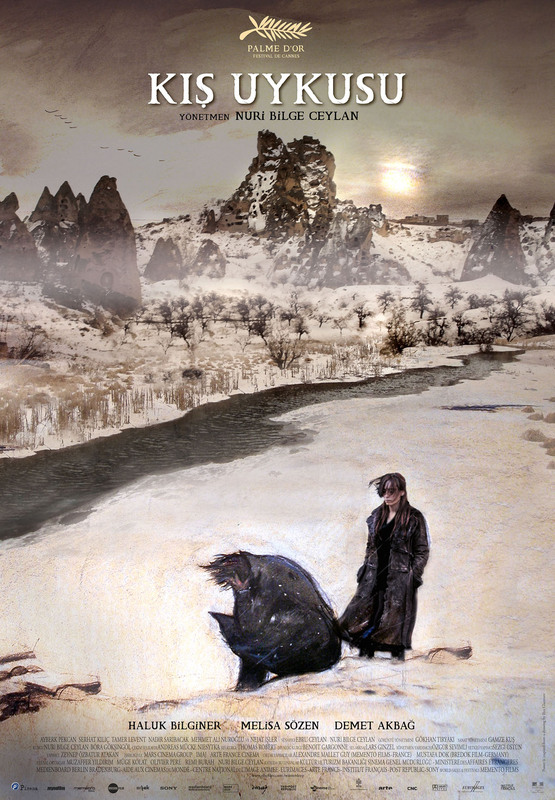 And there are scenes in ‘Midnight’ that rang so true, e.g. the parting scene of Jesse and his son at the airport and, above all, the very last one, in the seaside restaurant, with Jesse and Céline. I’ve seen a couple of other Linklater films of late, which I’ll post on separately. Vice News has an incredible, absolute must watch 42-minute reportage, “The Islamic state,” on ISIS’s rule in the parts of Syria and Iraq under its control. 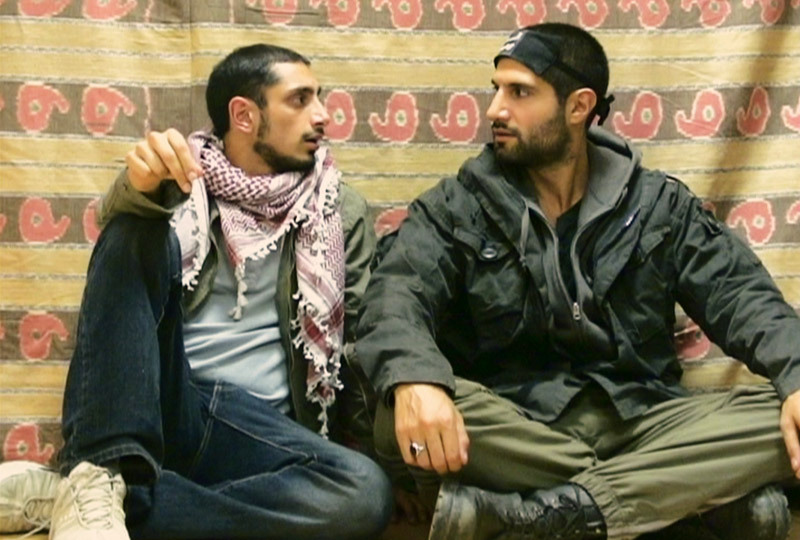 Vice’s very brave reporter Medyan Dairieh managed to embed himself for three weeks with the ISIS fighter fanatics, mainly in their Syrian stronghold Raqqa, accompanying and interviewing them as they went about their business. ISIS is the Taliban times ten, totally inculte and fanaticized, and which will not be dislodged, if they are to be so, from the areas they control except by a stronger local force—Iraqis and Syrians—backed by serious outside, i.e. American, support. Bon courage. As for where the responsibility lies for the ISIS disaster—and this is me talking, not the Vice News reporter—, culprit nº1 is the regime of Bashar al-Assad and its allies (and we know who they are), period, followed by the regional actors who poured weapons into the country and that fell into ISIS’s hands (Saudi Arabia, Qatar, Turkey et al). 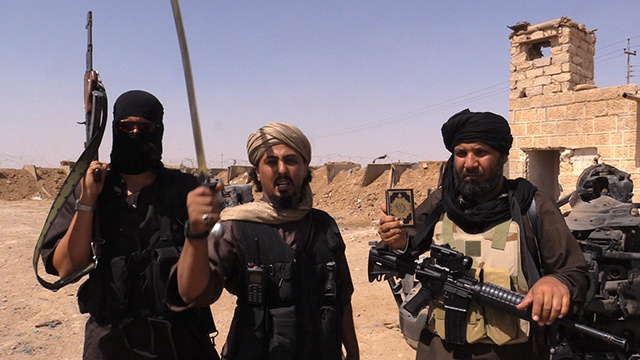 And, of course, the Nouri al-Maliki regime in Iraq. What a calamity. On the question of the Americans and whether or not they should have materially aided the Syrian opposition when such aid could have maybe made a difference, political science MENA specialist Marc Lynch settled the question IMO in a must read WaPo Monkey Cage blog post dated August 11st, “Would arming Syria’s rebels have stopped the Islamic State?” Answer: Nope, no doubt not. In the interest of fairness and balance, political science MENA specialist Steven Heydemann of USIP—who knows Syrian politics and history better than anyone I know personally—had an op-ed in US News & World Report, dated August 14th, arguing the opposite, that “Supporting Syria’s rebels is no fantasy.” I have not been in agreement with Steve on this issue over the past two years but if there’s anyone out there who has made a compelling argument for a more active US involvement in Syria, it is he. Patrick Cockburn has a new book out, The Jihadis Return: ISIS and the New Sunni Uprising, and of which The Independent published an extract a week ago. On the ISIS fanatics, Iraqi journalist Shukur Khilkhal has a piece in Al-Monitor, dated August 12th, on how the organization “emerges from radical Islamic jurisprudence.” The culprit: Sheikh Taqi ibn Taymiyyah. Of course.